Built in the late eighteenth 1756 century during the time known in Jamaica as the 'Georgian period'( 1720-1850,),in a town once considered to be the town of the landed gentry and against a backdrop of beautiful landscape. 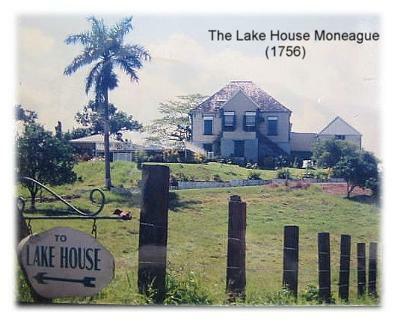 The Lake House is poised majestically atop a hill in cool town of Moneague, in the parish of St Ann. The name was coined as lakes can be seen from of the house. The original stone foundation can be seen upon entering the property and the timber wood used for the construction of the upper house and living quarters can be seen within the house and on a brief trip into to the basement. The two-storey building with its high ceilings, polished wood floors and original shuttered casement windows offers a mirror into regal Jamaican old-style country living. The Lake House remains one of the structures the town is famous for. Located near the main road, the Lake House not only offers easy access into to the town of Moneague with its warm, friendly and helpful people but also to the nearby resort town of Ocho Rios and the business hub and main city, Kingston. The Lake House, with its spacious, attractive and comfortable living and dining areas, flat lawns, swimming pool and gazebo leaves you with the distinct feeling of a home away from home. Upon waking to the cool crispness of the morning one is greeted to the magnificence of the heavy dew on the grass, the fog kissing the surrounding mountainside and aroma of a warm Jamaican breakfast wafting from our kitchen. This is the perfect start to the fun-filled day ahead. The Lake House, with is warm and friendly staff is the perfect getaway for that romantic weekend or for fun and frolic with family and friends. Accommodation consists of three large bedrooms. Two bedrooms are furnished with antique four poster beds and their own private bathrooms. The largest bedroom, with its own bathroom has antique twin beds and a double bed for larger accommodation. The rooms can be rented individually. What is the contact number for The Lakehouse Moneague? Join in and write your own page! It's easy to do. How? 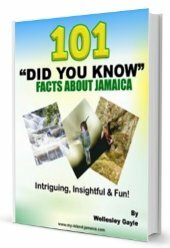 Simply click here to return to Jamaican Products, Services & Business Directory.